Reggae music has truly gone global, with popular reggae and dancehall even hitting the shores of Japan. 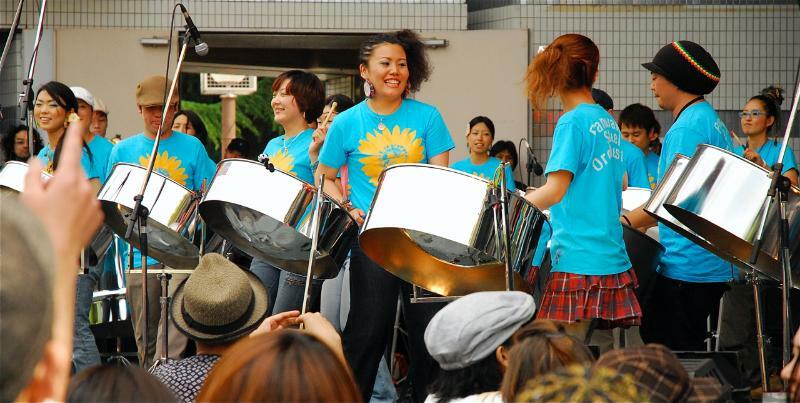 I rub your brog brought to my attention a pretty popular Japanese steel drum band called the Panorama Steel Orchestra. They recently played at the One love Jamaica Festival in Japan yesterday. They consist of 30 members, and have been playing strong since 2003. 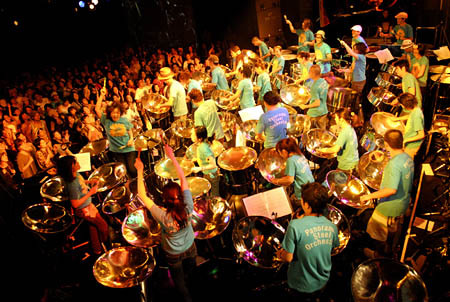 I grew up listening to calypso and steel drum bands, and will always love the sound. In 2002, a Japanese woman by the name of Junko even won the Dancehall queen competition in Jamaica. Just goes to show that the Jamaican influence is showing no signs of disappearing in Japan.